858 Locksmith is dedicated to providing fast, 24/7, repair and replacement locksmith services for drivers who are in need of transponder key programming services, proximity keys or traditional flat key services. We have 5+ years of experience in the locksmith industry, and we understand the frustration that is associated with being locked out of your vehicle. Our fast and friendly expert technicians are trained to quickly arrive at your location, resolve your key emergency and get you back on the road. We are proud to serve the San Diego CA and surrounding communities by providing licensed bonded and insured automotive locksmith services. We offer up front pricing for your convenience and we treat every service call as a priority. At 858 Locksmith we have a policy to never leave a driver stranded and to stay with them until they are safely back on the road. We practice high standards of professionalism, and we hold ourselves accountable for helping customers reverse their stressful situation. service. We have the knowledge, skills and equipment to gain entry into any type of vehicle, foreign and domestic. We are proud to offer a 24/7 locksmith service. If you are ever in a situation where you are not able to locate your transponder key or if it has stopped working for any reason, you should call your family and friends first to make them aware of your situation, and then you should call us next. As a complete locksmith service, we have resolved many challenges that is associated with transponder key programming services and other vehicle locksmith issues. 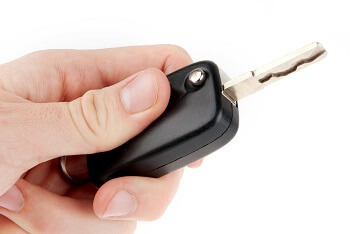 Our technicians are able to reprogram or replace a transponder key device for cars, trucks, motorcycles and RVs. It does not matter if you have an emergency situation or if you simply desire to have a spare key; we will be happy to provide a replacement key for you that works just as good an original key or better. Our technicians are always prepared to complete a service call because they have the necessary tools and equipment to offer a complete locksmith service. Typically, if your transponder key chip is malfunctioning, then the technician can troubleshoot your device, connect it to your car’s computer system and reprogram it immediately. If your transponder is missing, stolen or damaged, then we have the ability to create a duplicate key, on-site, and assign it a new code. Assigning a new access code to your new transponder safeguards your vehicle from being stolen by someone who may have access to your lost keys. Our expert technicians are dedicated to arriving at your location within a 30 min response time. We have gained the trust of the San Diego CA and surrounding communities as a reliable resource for transponder key programming services. We are known for employing honest technicians, and we are known for having advanced technology equipment in our service vehicles, which allows our mobile locksmiths to replace or reprogram transponder keys and proximity keys, anywhere, anytime. Our 24/7 locksmith service and transponder key programming services have been used many customers who were stranded and in need of urgent help. 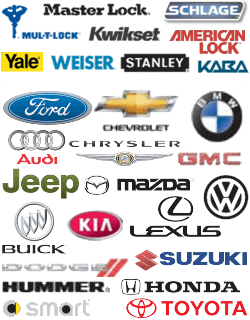 We are considered experts in the locksmith industry because we can gain access to any vehicle regardless of its year, make or model. We have worked very hard to build a solid reputation for quality work and fast and friendly service. We are affordable and we offer up front pricing to save you time and money. As a licensed bonded and insured locksmith company, we hold ourselves accountable for our customers’ satisfaction, and we reinforce our efforts by employing skilled locksmiths who will provide you with first class service for your car key replacement needs. Transponder Keys https://858locksmith.com/transponder-keys/ 3.6/5 based upon 10 reviews.